One of the most challenging aspects of dealing with personal finance is overspending. Many of our clients that come in looking for bankruptcy solutions to their debt have overextended themselves in one way or another – most because they didn't have a budget. For some, it's a mortgage that was too much to manage when they had a change in circumstances. For others, it's credit card debt that piled on to other obligations. No matter what caused your financial problems, it's important that after you get out of debt through bankruptcy, you make the most of your fresh start. 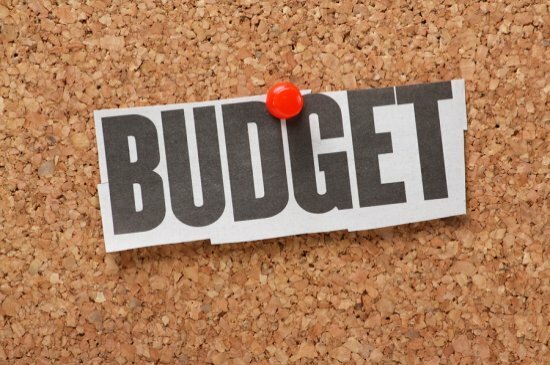 To do this, you need a budget, but this can be more complicated than many people think. The debtor courses required by bankruptcy law are helpful, but if you don't understand budgeting, you'll struggle to make one that you can stick to. And this means your financial problems can get bad once again. But how do you know what you should be spending on your rent, transportation and all the other things you need to live your life? You don't want to hear “it depends” - you want a concrete answer. Although the dollar amount will vary based on your income, there is a handy rule that can help keep you on track known as the 50/30/20 rule. Here's how it works. #1 Start with after-tax income – This is the amount of your take home pay. We caution people about not over-withholding on taxes simply to get a big tax refund at tax time. You shouldn't let the government keep your money all year long. Instead, based on your most recent tax return, look at what your refund was so you can adjust your withholdings. If you had a $2,400 refund, that means you overpaid roughly $200 in taxes per month. If you are paid every two weeks, you should increase your deductions so that you get $92 less in federal taxes taken out and that amount increased in your take home pay. If you have a state refund each year, adjust those withholdings, as well. #2 Apply 50% of your after-tax income to necessities – Once your take home pay is adjusted, you can safely devote 50% of it to things you must have to live. This includes rent, utilities, transportation, food, child care, health insurance, loan payments, etc. If your take home pay every two weeks is $1,500, you have $39,000 in after-tax income each year. 50% of this is $19,500 which equates to $1,625 per month for necessities. If you have $1,000 rent, $200 car note and $300 in utilities, you can see that you can't live on the $125 left over. You need to cut back on rent, most likely, and live within your means. You may not like it, but living within your means is something you must learn to do. #3 Apply 30% of your after-tax income to luxuries – By luxuries, we don't mean fur coats – we simply mean things you can live without. This includes vacations, new clothes, eating out, going to the movies, gifts, décor for your home and all the other things you want, but don't absolutely have to have. In the $1,500 per payroll take home scenario, here's what you would have: 30% of your annual after-tax income is $11,700 annually, or $975 per month, or $243 a week. That may sound like a lot, but it goes fast. That also includes items that don't fall under utilities such as your monthly Netflix, cable TV, internet, lunches eaten out during your work week, etc. #4 Apply 20% of your after-tax income to debt and savings – Your mortgage should fall under the 50% and you should be saving at least 10% of your take home pay to savings either in the bank and/or your 401(k). In your $1,500 payroll scenario, that means each month $650 is available to pay your credit cards, put money into 401(k), savings and to service any other debts. If your mortgage or car loan fall outside of the scope of your 50% above, they can overflow into this category, but the goal is to not consume more than 10% in this category. Credit card debt should only fall into the 20% to the extent you carry over a balance. What you spend on your cards each month should be included under #2 and #3 above. It's likely that you may struggle with the 50/30/20 budget rule at first, but right after you file bankruptcy, particularly if you use Chapter 7 that wipes out your unsecured debts, is the best time to scale back on what you spend to ensure you don't get into more debt than you can manage again. If you're deep in debt and looking for a serious solution, contact the law offices of John T Orcutt for a free consultation on how bankruptcy can help you get a financial fresh start. You can choose from any of our convenient North Carolina locations for your no-obligation debt consultation. Call now.